Woodhead Group has been appointed as the contractor for the University of Nottingham’s new £13.5m Research and Innovation Centre for Power Electronics and Machines. 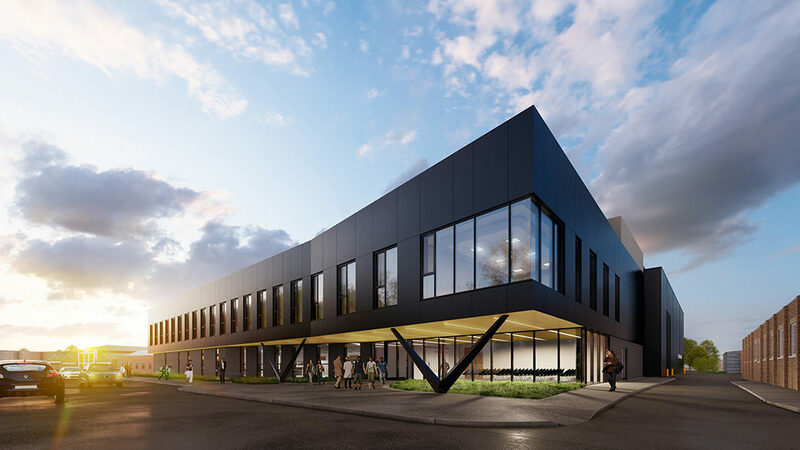 The research and innovation centre is the biggest contract secured by the construction company and will create a global centre of excellence for the university’s world-leading Power Electronics, Machines and Control (PEMC) Research Group. The centre is the latest of several significant projects completed for the university by Woodhead Group, including the BREEAM Excellent-rated Ingenuity Centre and the Research Acceleration Demonstration building. The 5,400m² development is located on the university’s Jubilee Campus and work is expected to start on-site in the summer. Professor Pat Wheeler, Head of the Power Electronics, Machines and Control Research Group, said “New technologies for Power Electronics and Electrical Machines are essential to meet the massive economic and environmental benefits of transportation electrification and the integration of renewable energy sources in our electrical utility networks. “This Centre provides the exciting opportunity for the research group to continue to expand its world leading research work in these increasingly important research topics. The new facility, which was given £9.4m by the UK Research Partnership Investment Fund (RPIF), which is run by Research England, will provide office and research accommodation for the research group and will join the Faculty of Engineering’s growing research cluster. The design has been put forward by architects Bond Bryan and will be project managed by Aecom, with Turner and Townsend acting as cost consultant. Tom Woodhead, business services director at Woodhead Group said: “We’re absolutely delighted to have been appointed as the contractor for such a landmark project. Find out more about Woodhead Group at woodhead-group.co.uk or join the conversation @WoodheadGroup.